border over the coming days as the U.S. waits for North Korea to confirm the time and date for the transfer. 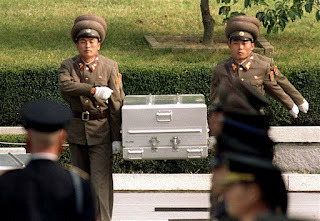 "We're anticipating around 200 to 250 remains and so that is what we're preparing for," the spokesperson told NBC News. "It could happen any second and we are getting ready for that." 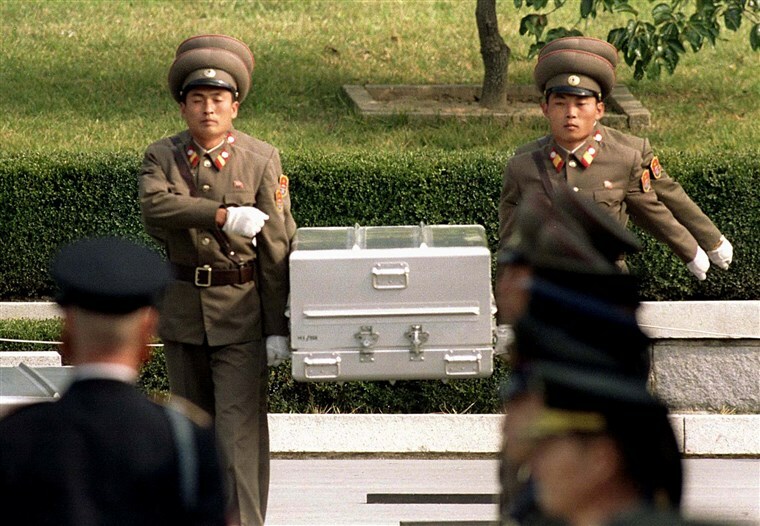 The caskets are expected to be taken from the Panmunjom border village to a U.S. airbase south of the South Korean capital of Seoul. Meanwhile, the U.S. and South Korea have agreed to indefinitely suspend two exchange program training exercises, the Pentagon said on Friday, in the aftermath of the summit earlier this month.